Click on the Map to View the Details. So, here's the latest. During tonight's Grand Prairie, TX City Council Meeting (Tuesday, September 16, 2014 at 6:30 PM) (Click on that link ~ go to the Consent Agenda, Item 29 on the Full Agenda Tab) the Council will extend the Moratorium on all Gas Drilling activities within 3,000 ft. of all water retention structures in the city limits through October 1, 2015. This Moratorium was first put in place on September 6, 2011 and has been extended every 6 months to a year since that time. Apparently, USACE (United States Army Corps of Engineers) is not ready to release their National Study just yet. These things take time and lots of review before they become public. We have been told by district personnel for USACE that Joe Pool Lake Dam is the centerpiece of this study. So, now we must ask this question: What about the Lynn Unit? If there is a Moratorium on ALL gas drilling activities, then why isn't there the same Moratorium on "Extraction" aka "Production"? The Corps asked the City of Grand Prairie, TX to halt production (extraction) as part of the Moratorium at the Lynn Unit one year ago. 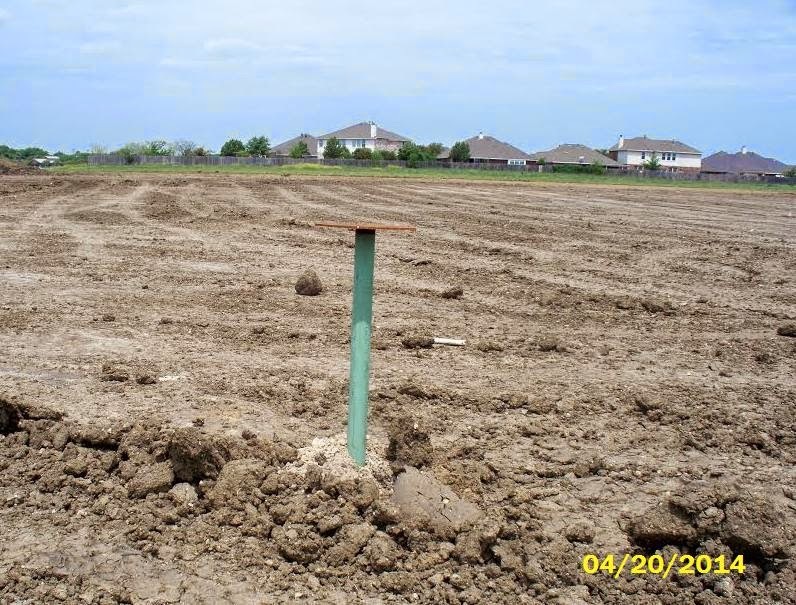 And to our knowledge, production for the 3 XTO wells in production at this site has continued. The City told the Corps that it was their call, not the city's call. So, whose call is it, anyway? 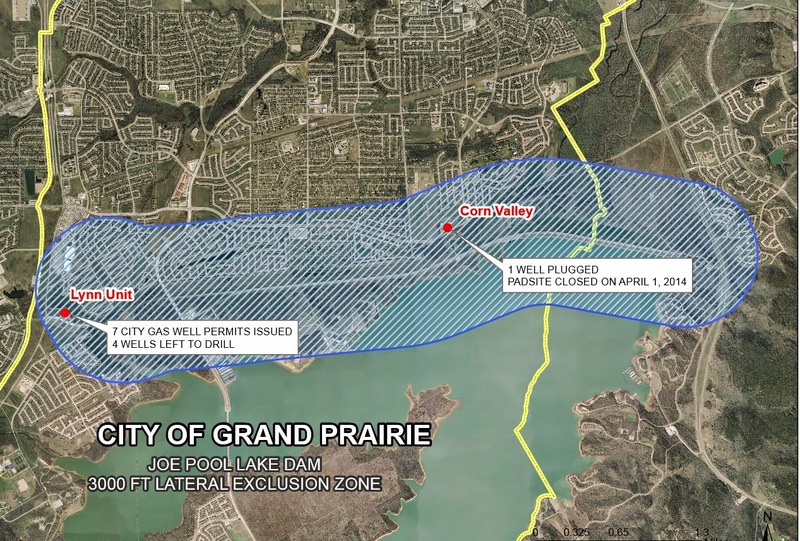 Isn't it time to HALT all production within 3,000 ft. of the Joe Pool Lake Dam and within 3,000 Ft. of ALL Dams in North Texas with shale gas production in the zone? These EXCLUSION ZONES were established by the United States government via the Corps of Engineers' *New* Southwest District Policy released on March 17, 2011 and the much earlier 1996 Bureau of Land Management guidelines for oil and gas drilling activities near USACE-managed Dams. We have blogged about it extensively on the Westchester Gasette. This is clearly one more Elephant in the Room. But it's way past time to deal with this BIG one that can impact so many lives in one fell swoop. Extraction causes seismicity. Extraction causes earthquakes. Why risk this in such densely populated areas? Stop Production/Extraction on the 3 producing wells at the Lynn Unit. Thank You. Click on this Picture to see the BIG Picture. 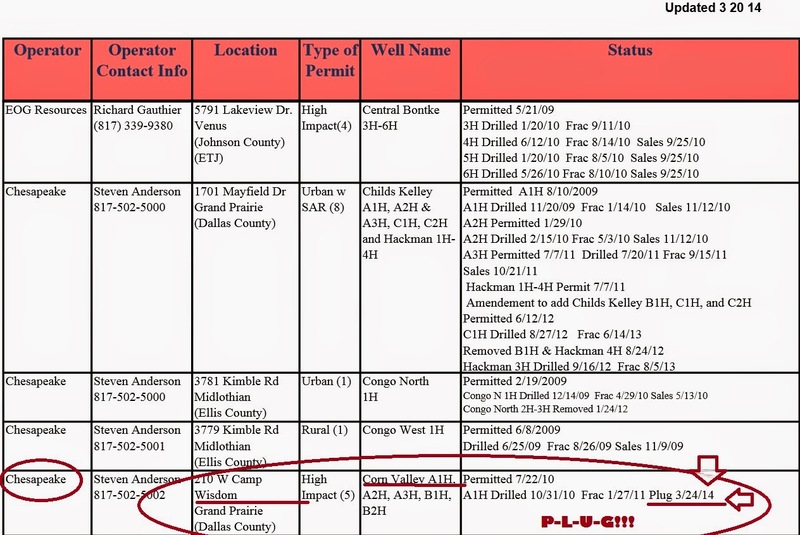 Just to follow-up on this story, the City Council Public Hearing on this "Zoning Change" from Retail (yes, a gas drilling site was zoned as "Retail" when any amount of common sense says it should have been "Zoned" as "Industrial") was conducted on April 15, 2014 and ended with a VOTE to Table. 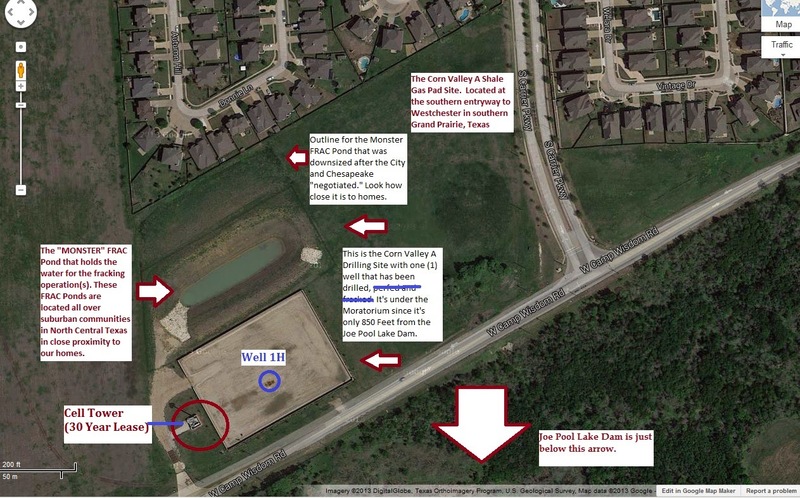 The SECOND Public Hearing on this Zoning Change will occur tonight, May 20th, 2014, 6:30 PM at Grand Prairie, TX City Hall. 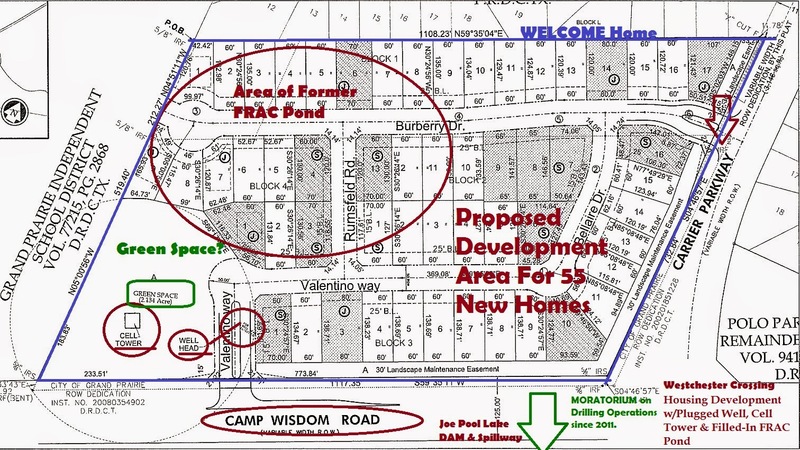 A Public Meeting was conducted on May 8th at the Betty Warmack Library on Bardin Road. 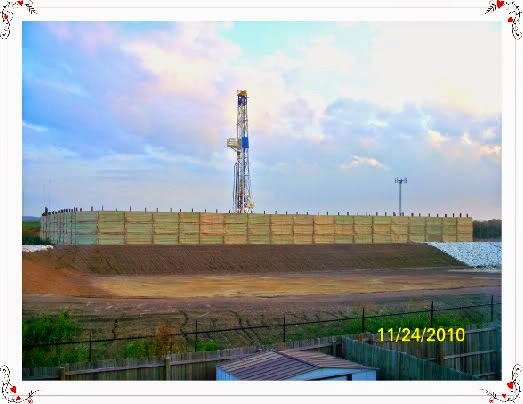 NO Soil or Groundwater Testing will be conducted for this land that was used for shale gas mining operations beginning in 2010. "City staff" told us that the city would have to pay $60,000 for that and, of course, that's too much!! 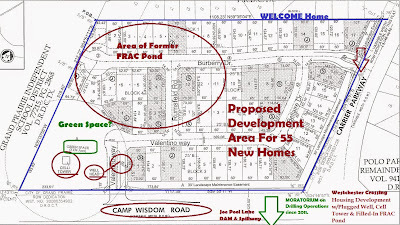 In addition, we were told at that meeting that Disclosure will NOT be required for any developer who builds new "Homes" or "Anything" on this damaged land. It's not over, 'til it's over. 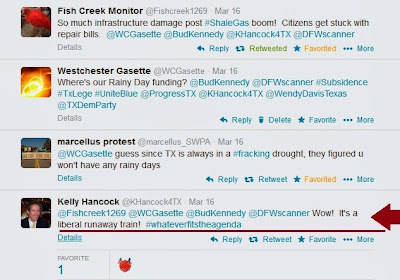 AND Just to make it perfectly clear, the Westchester Gasette is your source for reporting Barnett Shale bizarro, irresponsible and potentially deadly decision-making by North Texas city leaders and their city managers. TX State Senator Kelly Hancock says, "Wow! It's a Liberal Runaway Train!" 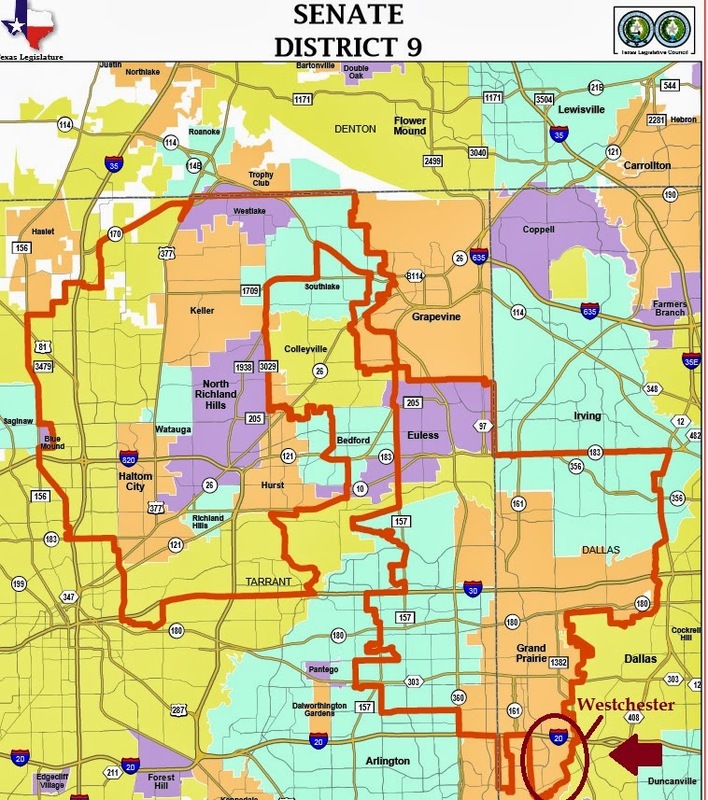 Kelly Hancock, Grand Prairie and Westchester's Republican representative in the Texas Senate (at least portions of it) (District 9) (see the map below) is apparently alright with some name calling with the "L" word. 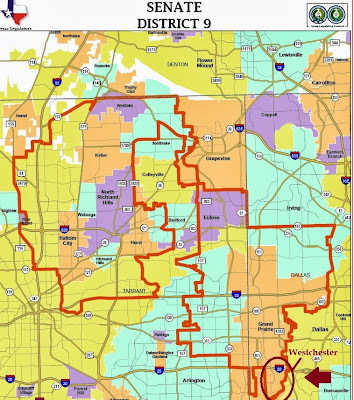 A road collapsing very near or in Mr. Hancock's district (hard to know by looking at the configuration of the weirdly-drawn Republican district) inspires him to criticize those who dare discuss this bad news. So, Mr. Hancock, we say, "Wow." We think our "Wow" makes more sense since we thought your job was to make Texas laws to protect us from infrastructure failures. Vapors, Storage Tanks, Static Electricity = Catastrophic Explosion. This photo provided by Nathan Hergert shows a fire burning at an oil and gas drilling site near Greeley, Colo., on Tuesday, March 4, 2014. 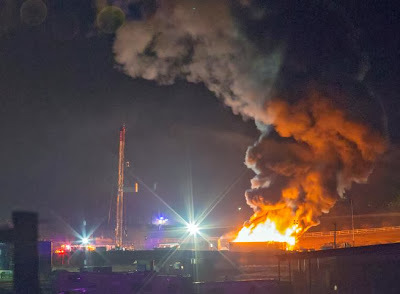 Static electricity is being blamed for the massive explosion and fire at the oil and gas drilling site north of Greeley that injured two workers. Fire crews used a foam retardant to mostly extinguish a massive fire at an oil-and-gas-drilling site north of Greeley on Monday night. An explosion that could have been started by static electricity rocked neighbors out of their beds at about 11:20 p.m. Monday. The resulting fire was seen for miles. "We were getting ready for bed, and the whole house shook," said Liz Hegert, a resident in the area, told the Greeley Tribune. The fire came from a drilling site about 2 miles east of Lucerne near Weld County Roads 27 and 70. The Eaton Fire Protection District as well as crews from Windsor-Severance Fire Protection District and the city of Greeley responded. The exact cause of the blaze has yet to be determined, he said. But it could have started as workers were pulling a water/oil mixture out of storage tanks on site to take to a separator. Static electricity may have set off the vapors. "That is a distinct possibility," Kane said. First speaker asks how any studies from RRC can be unbiased due to influence of campaign $$$ from #fracking ind. crowd erupted. 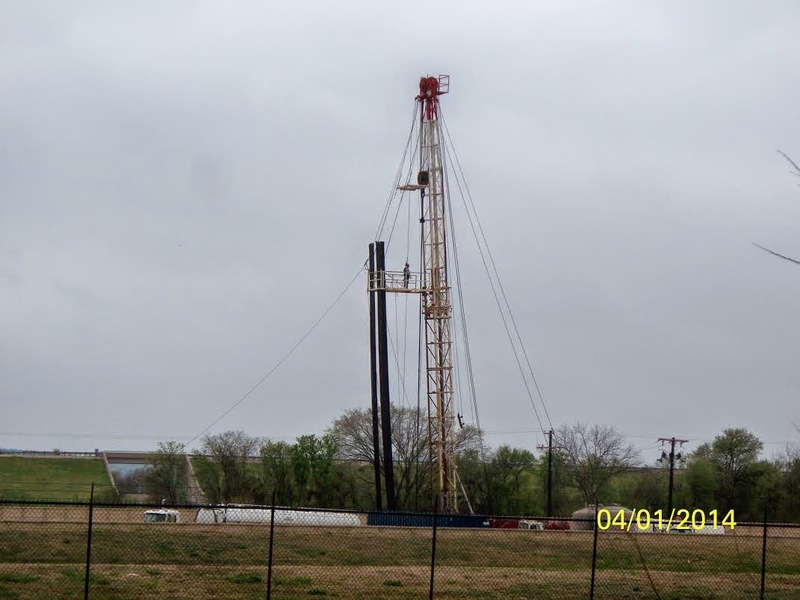 The #fracking industry has lost North Texas & they have no one to blame but themselves. VERY angry crowd. Man just asked for show of hands of who has heard "sonic boom" sound associated with quakes. Nearly every hand went up. @WCGasette @TXsharon Commissioner David Porter is here plus exec dir & another director. Not all introduced themselves so not sure if more. Lady says "feels like Tasmanian devil" under her home. Sleeps in clothes because afraid she'll have to run from home in middle of the night. Click here to read the earlier story on the Westchester Gasette if you don't know what this is all about.